O’Reilly Concrete manufacture stairs or combined stairs and landing units which have a smooth, quality finish, to suit most combinations of architectural design. The system of production enables components, selected from the common range, to be provided most economically and special requirements can be accommodated to suit the individual needs of the designer. Precast concrete stairs and landings together with precast lift shaft units and precast walls give complete system for precast stair core units. 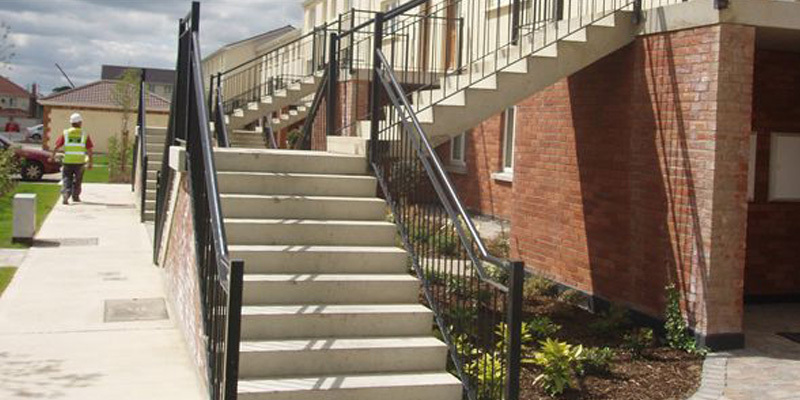 Complete precast stair cores can be designed and manufactured for schools, residential and industrial buildings. Easy installation and speed of erection combined with high quality of finished surfaces makes precast option very attractive for contractors and designers. Use of precast stair flights improves overall efficiency and safety on site. 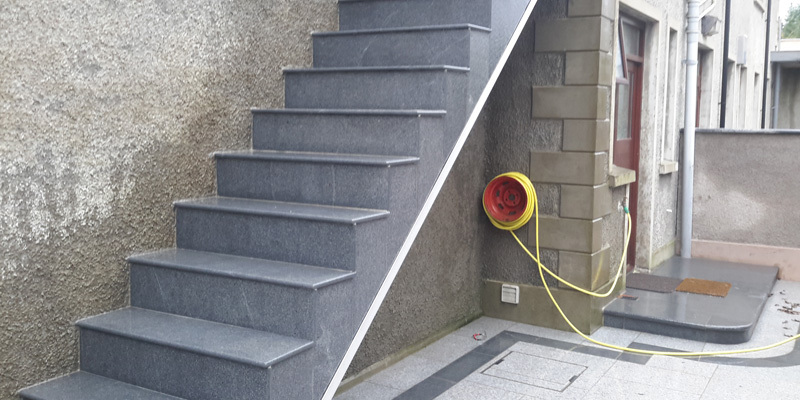 Installed stair flight gives safe access to upper levels of the building without any delay. Precast concrete stairs maintain a means of escape in the event of a fire. 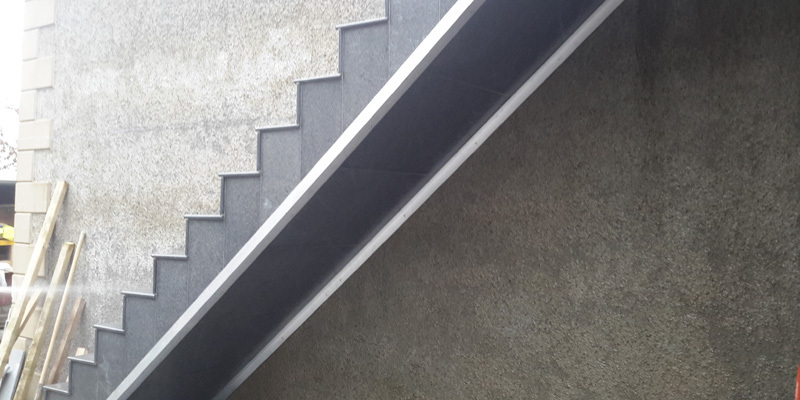 O’Reilly Concrete precast stairs are cast vertically in steel adjustable mould which gives perfect steel mould finish on all sides of the precast flight. Riser dimensions are fully adjustable to suit architect’s design. 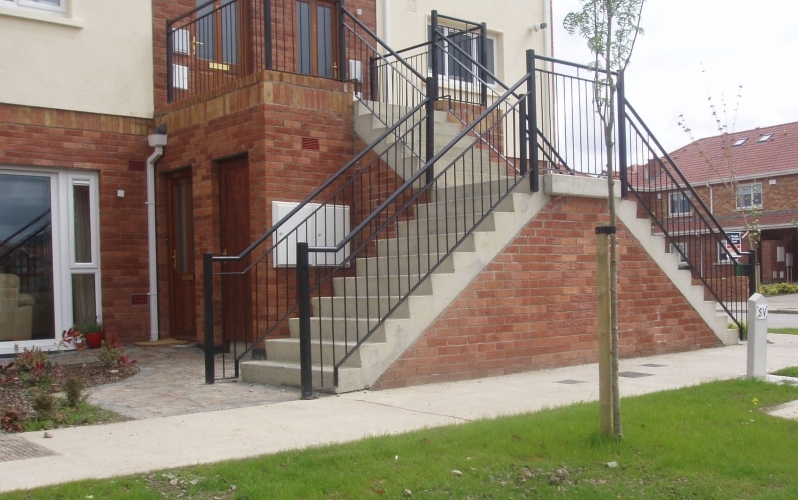 Apart from standard precast stair flight O’Reilly Concrete manufacture special products like precast terrace steps and complete precast systems for spectators’ stands.